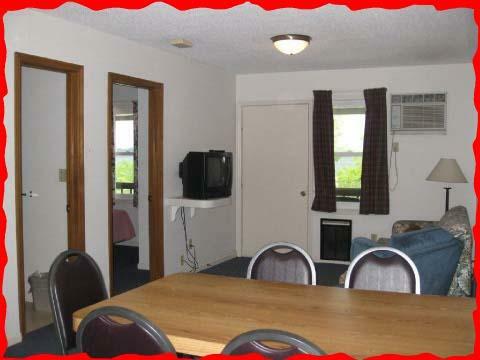 Our efficiency apartments have 2 bedrooms with a double bed in each room, a kitchen with a stove and a refrigerator, cooking utensils, plates, and silverware, as well as an eating area and sitting area with a pull out couch. The maximum occupancy is 6. 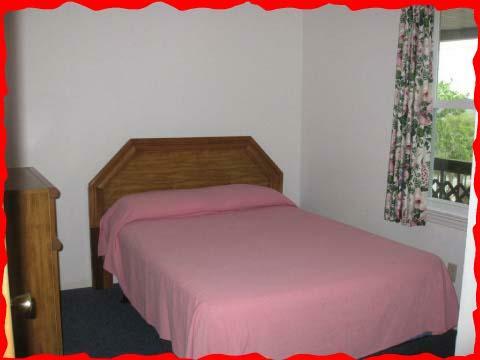 These apartments are recommended for 4 adults and 2 children, 2 adults and 4 children, or 3 adults and 3 children. Limited Wi-Fi is available in the apartment units. 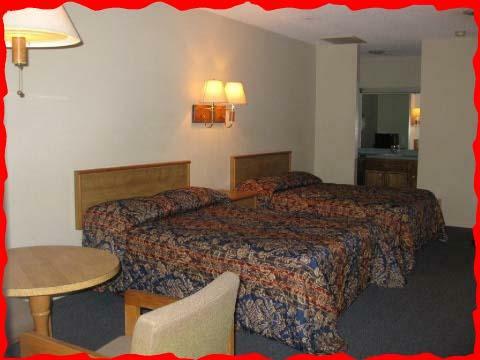 We have 4 motel units located approximately 300 feet from the water. 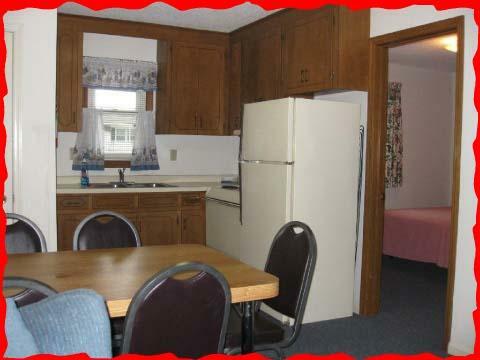 They have 2 double beds, a microwave and a mini-frig. The maximum occupancy for these units is 4.